Architects designing ski jumps is one of our favorite typologies, as the megastructure meets the athletic show to produce some of the most Nike-swoosh-like structures out there. Boston is going to get a new mutation of the type when a huge, 140-foot ski jump will be installed on the baseball field, in the shadow of The Green Monster. Actually, it will tower over the Green Monster by 100 feet, as well as the entire structure of Fenway. We have seen all kinds of things on fields, like Bon Jovi concerts and Monster truck rallies, but the huge snow-covered structure is one of our favorites. What is yours? 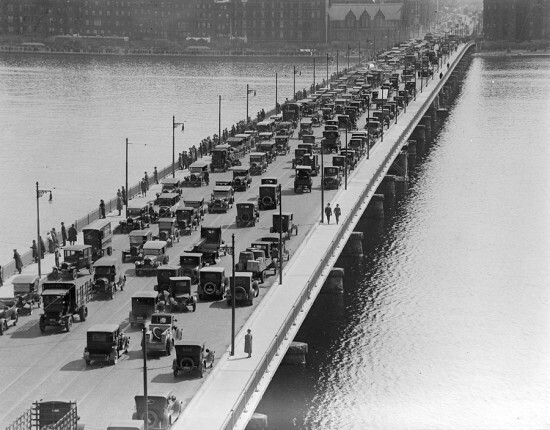 Boston-area drivers spend too much time stuck in traffic. To combat congestion in the city center, Boston city officials may follow San Francisco's move to improve traffic flow by charging more for parking at peak times. Donald Shoup, former professor of planning at UCLA, is famous for arguing that, at any given time, about one-third of drivers on city streets are looking for parking. His disciples at the San Francisco Municipal Transit Authority created SFpark, a congestion control model that puts Shoup's ideas into practice in the form of surge pricing for on-street parking (see the full report here). Shoupistas in Boston may follow suit. Inexpensive parking makes it easier for drivers to leave their cars parked for longer periods of time. Other drivers hunting for parking cause gridlock and delays. Following SFpark, Boston will introduce parking prices tied to peak traffic in select downtown locations. Mayor Walsh commented that, in addition to applying market logic to parking, the move may spur more drivers to opt instead for mass transit. Currently, $0.25 buys you 12 minutes of parking at most meters in Boston, regardless of the day or time. Officials haven't decided on how high the meters will go, but in San Francisco, peak parking costs up to $7.00 per hour. To prepare for a pilot program, Boston officials will study the proposal's impact on Fenway, Back Bay, and other downtown neighborhoods. The peak pricing initiative is part of an overall effort to modernize parking infrastructure and reduce gridlock downtown. Approximately 8,000 older meters are being replaced with new meters that accept credit cards and can be programmed to accommodate surge pricing. In turn, the city can create "parking zones" where certain blocks in high demand zones are priced higher than less desirable blocks. To fight gridlock, Mayor Walsh pointed to surveillance at intersections that will identify motorists who "block the box," as well as those who double park. When reprogramming traffic, it is often a challenge to balance the needs of motorists with the needs of everyone else. In addition to Boston, Cleveland, DC, and Denver are working on innovate ways to alleviate congestion to make healthier streets for all. Here's your chance to own a piece—a very small piece—of the actual White House. No large lobbyist pockets required. A relic from the presidential mansion will go up for auction at a live event later this month. The piece is an architectural ornament from the main hall of 1817 that President Madison rebuild after an 1814 fire. 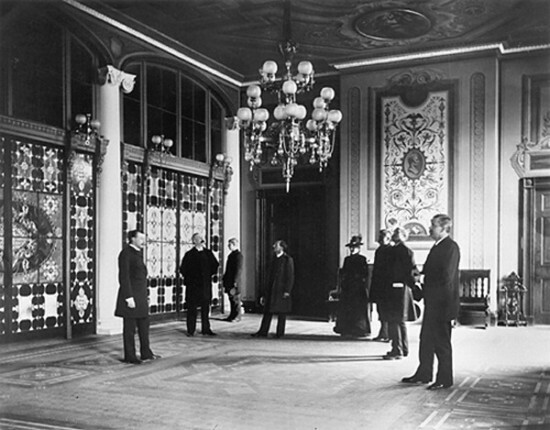 The wooden ornamental plinth was actually removed from the White House in 1902 during Theodore Roosevelt's renovation. It's part of an architectural ensemble forming the trim around a doorway and was used as a base, sitting at the bottom of the frame. Measuring approximately 14 x 30 x 4 inches, it was constructed using a pine base with pine moldings, cast composition ornaments, and hand-forged nails. In addition, it has 17 layers of paint of which three are gold leaf. From this evidence one can assume the that White House was repainted for each president, thus allowing the plinth to be representative of 17 terms of U.S. presidency. The auction will be hosted by RR in Boston later this month on Monday, September 28 at 1:00 PM EST. Through September 25th, emerging architects and designers are being celebrated in Boston's 4th Design Biennial. The program features installations, created by four, jury-chosen design firms, exhibited along the Rose Fitzgerald Kennedy Greenway Conservancy. “This fourth installment of the Biennial highlights emerging designers who reflect the diversity and vitality of Boston’s academic and professional architectural scenes,” explained Chris Grimley, one of the exhibition’s curators. “At a time when the mayor has brought forth much-needed questions about the quality of buildings being produced in the city, the Biennial demonstrates how Boston’s new design talent can be drawn on for its innovative thinking and ability to respond to the challenges we will face in the future.” Over the years, 23 winners have had the privilege of showcasing their work in the event, which represents Boston's finest up-and-coming designers and architects. Among the winners from this year's Biennial are GLD Architecture, MASS Design Group, Cristina Parreño Architecture, and Landing Studio. Each design firm created site specific installations that are sure to make a typical walk along the highway-topping park an atypical one. 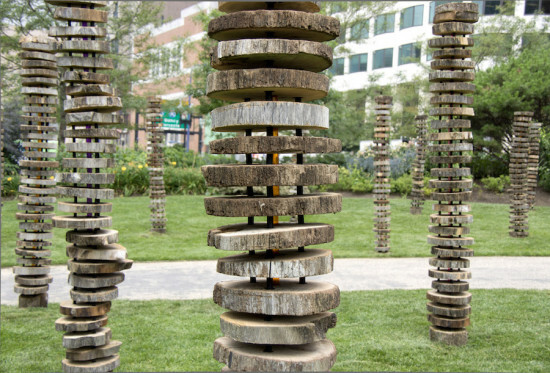 Made from eight Boston Harbor shipyard recycled oak pilings, Marginal by Landing Studio (pictured at top) calls on a nautical New England from its industrial shipping era. This 18-figured installation was sliced into more than a thousand 2-inch thick cross-section pieces. Each piece is divided into three types—Rounds, Chewies (ends slightly chipped and chomped away), and oblongs—then stacked to form this totem pole–styled installation. GLD created a softer, almost dreamlike piece. What appears to be a cross-pollination between a mushroom and a massive jellyfish, the Grove is a fused resin and fiberglass shell that is said to create a "strangely intimate new enclosure in an open public landscape," as stated on the Boston Biennial's website. Other installations include Cristina Parreño's Tectonics of Transparency: The Tower, a 17 foot installation composed of 350 compressed glass blocks resembling a mini skyscraper and MASS Design Group's Lo-Fab, which is made of more than a thousand wood and metal components that transform into a geodesic hemisphere serving as an impressive gathering space. 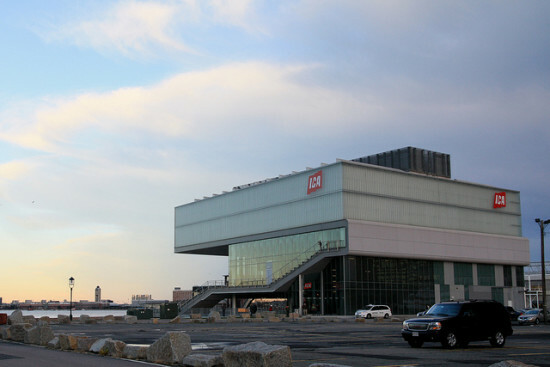 Learn more about the Design Biennial Boston on its website. Like so many Brutalist buildings around the word, Boston's iconic City Hall has not necessarily endeared itself to the public. Since it opened in the 1960s, there have been calls to update the building, completely overhaul it, and to demolish it outright and start over. There have, of course, also been calls to preserve it. The latest idea to revamp City Hall comes from Harry Bartnick, a Suffolk University professor, who wants to cover the structure with a tinted glass curtain structure. In an op-ed in the Boston Globe, he called the idea "simple, obvious, and cost-effective." "The generally outward sloping angle of the glass would impart a feeling of greater stability, and redistribute the visual mass toward the ground," Bartnick argued. "Translucent glass would allow the original wall-surface variations to still be seen, but now softened by filtration through the glass 'veil.'" He continued that the intervention would help the building's efficiency by establishing a "climate-controlled, passive solar interior environment." There are no plans to actually move forward with this project, but, as Bartnick noted, his idea comes as the area undergoes major changes including a new residential tower by César Pelli. Boston Business Journal also recently reported that Center Plaza, a 720,000-square-foot, mixed-us complex nearby, is set to receive a $25 million facelift. Along with new retail tenants, the CBT Architects–led transformation will update exterior walkways, street-level lobbies, and the existing rooftop. Rafi Properties is not your typical millennial-led startup. It's not peddling some iPhone app or trying to become the Uber of [insert industry here]. Instead, Rafi is attempting to build a 30-story residential tower in Boston's Downtown Crossing. No small undertaking. The real estate startup is led by 25-year-old Collin Yip who holds a business degree from Boston University. 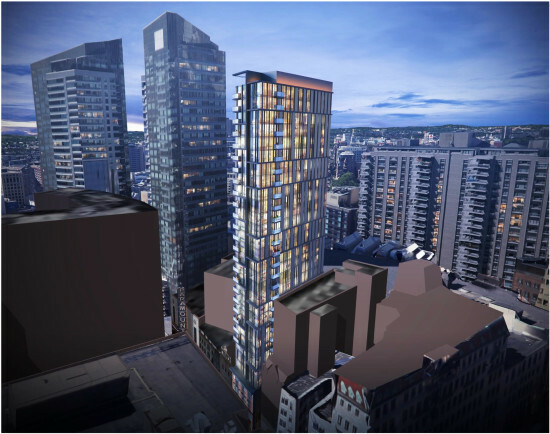 The Boston Globe reported that Yip, who has renovated multiple buildings in the Boston area, has submitted a letter of intent to the Boston Redevelopment Authority to build a 305-foot-tall tower with the millennial-friendly name of “Canvas.” With the development site only 38-feet wide, the Globe has compared Canvas to Manhattan's many “pencil towers." But that comparison likely won't fly with New Yorkers as the building is more elongated than the super-thin supertalls rising in Midtown. Pencil tower or not, Canvas has 94 residences, restaurants, and co-working office space. The glass and zinc tower was designed by the Boston-based ADD which has since been acquired by Stantec. As part of the project, Rafi will also be restoring the facade of the existing four-story building that the new tower will rise above. 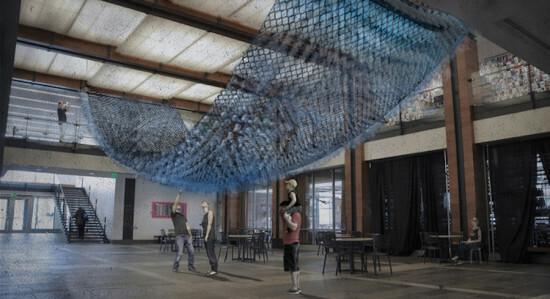 "We are still refining the program on the first four floors but we are envisioning it being a center for the collaboration and appreciation of art, technology, unique food, and ideas," said Yip in an email to AN. "Being able to design, build, and manage the property ourselves gives us the flexibility to build and run an integrated project that truly represents what it means to live and work in Boston." Perhaps wanting to reassure skeptical parties that his young company can handle such a significant project, Yip added that Rafi is getting guidance from "veteran real estate development mentors/advisors, investors, and neighbors." 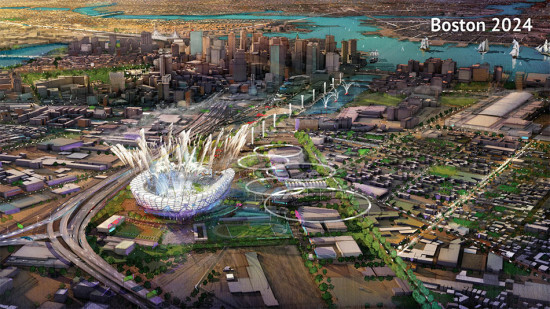 Boston's plans to build the most walkable Olympic Games in history will not come to fruition. On Monday, the United States Olympic Committee (USOC) and Boston 2024 jointly announced that they were dropping the city's bid to host the 2024 Olympic and Paralympic Games. The surprising news came hours after Boston Mayor Marty Walsh announced that he would not sign a host city contract that could have left taxpayers on the hook for the the games' cost overruns. "I refuse to mortgage the future of the city away," said the mayor at a press conference. "I refuse to commit to signing a guarantee that uses taxpayer dollars to pay for the Olympics." With Boston out, the USOC is in a tight spot as it only has seven weeks to officially nominate another American city. The organization's CEO is now looking pretty closely at Los Angeles. An unmissable flower-power medallion on a gold chain now fronts the otherwise plain-though-historic facade of the Isabella Stewart Gardner Museum facing the Boston Fens. Featuring a whorl of psychedelic colors spiraling dizzyingly, the pop art–style inflatable installation riffs on the museum’s large wheel window, which forms a transect line between the museum and the installation. The work of internationally acclaimed landscape architect and designer Ken Smith, the piece is allegedly rife with symbolic meaning of deities as protectors of the physical and spiritual realm, inspired by the intermingling of East and West. The artist’s Asian forays and visits to Buddhist temples formed the artwork’s muse. Its symbolic/iconographic gestalt purportedly protects the museum from evil spirits and promotes environmental renewal, health and happiness. “What I really like about the Gardner collection is the eclectic mix of East and West in the selection of art. It’s that mixing of East and West that is at the heart of what the deity is about,” Smith said in a statement. “The deity is an Eastern idea that we are using in a Western way.” Smith’s installation is part of a larger landscaping scheme on the museum’s part to rejuvenate underutilized or overlooked venues within its grounds. 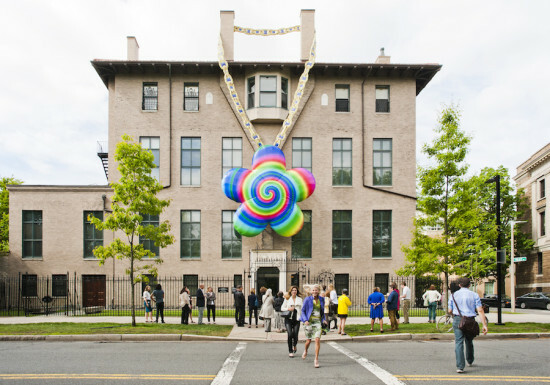 “Ken Smith’s Fenway Deity promises to reanimate discussion of museum’s relationship to the public realm of the Back Bay Fens by installing a work of conceptual public art from the Gardner Museum’s historic facade,” said Charles Wadheim, the Garder Museum’s Ruettger Curator of Landscape. Curving brick and glass facade heralds Roxbury's resurgence. By locating their new administrative building in beleaguered Roxbury, Boston Public Schools [BPS] made a powerful statement of faith in the area's resurgence. 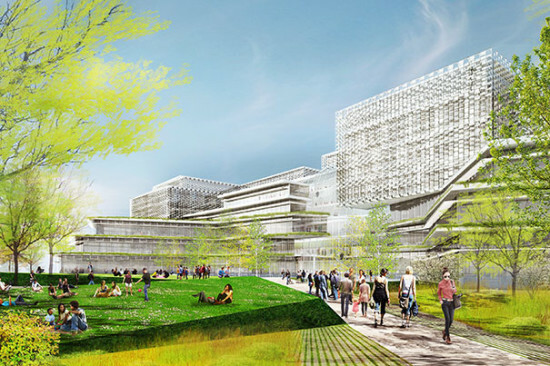 "Bringing the BPS right into the heart of Roxbury anchors the redevelopment of the neighborhood," explained Friso van der Steen, manager of international projects at Mecanoo. The Dutch architects collaborated with local firm Sasaki Associates on the project—their first built in the United States—which involved renovating the facades of three historic buildings and weaving them into a coherent whole with a new volume. Described by Mecanoo as "a Bostonian building with a Dutch touch," the structure's curving brick and glass envelope projects a hopeful future for Dudley Square. When Mecanoo and Sasaki won the competition to design the Bruce C. Bolling Municipal Building in 2009, the largely vacant site in Dudley Square, Roxbury's commercial and transportation hub, "contained a number of derelict buildings," recalled van der Steen. These included the 1895 Ferdinand building, which was to be integrated into the project. The architects convinced Mayor Thomas Menino to add two other historic structures to their portfolio: the 1888 Curtis building, and the 1890 Waterman building. "This allowed a design inclusive of the three corners of the triangular plot," said van der Steen. In cooperation with preservation consultants Building Conservation Associates, Mecanoo and Sasaki completely restored the facades of the three existing buildings, each of which was built in a different style. The five-story Ferdinand was constructed of limestone, terra cotta, brick, and granite, and is characterized by large oval windows at the corners and ends of the building, plus a large copper ornamental cornice adorned with cast lions' heads. The red brick Curtis was built in the Queen Anne style, while the Boston Granite Waterman features copper bay windows brought up to snuff by the renovation team. For the new volume, the architects looked both to the surrounding urban fabric and to their own strengths. 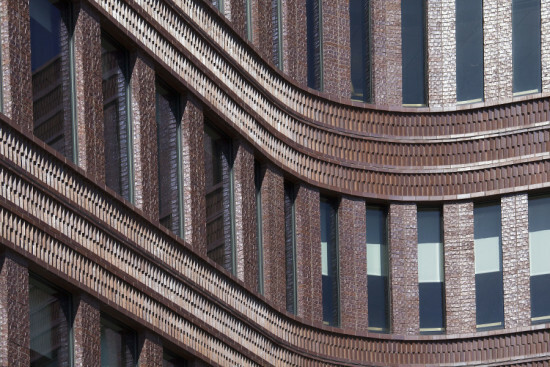 "Boston has a very rich tradition of using brick," said van der Steen. "Coming from 'the clay country,' The Netherlands, we have used brick in many projects, and we really wanted to use it here to show off the craftsmanship that goes into bricklaying." Working with Iron Spot brick in three different finishes—smooth, velour, and artisan—the design team deployed a variety of bonds—running, stack, and soldier—to create delicate reliefs and shadow effects. "Mecanoo and Sasaki spent a lot of time and effort to design an inviting, permeable public space," said van der Steen. Vertical punch windows render the curving brick facades of the new volume permeable, while the transparent entry invites residents to take advantage of the community resources (including a neighborhood gathering space and facilities for obtaining informal business guidance). A sixth-floor roof deck overlooking downtown Boston makes a visual connection to the city center, and the illuminated mechanical penthouse serves as an orientation point after dark. From the beginning, said van der Steen "we wanted to make one building that united the three old facades. While the historic buildings maintain the feel and scale of Dudley Square, the central volume injects a powerful, tacit modern aesthetic." The word "tacit" is key, he explained, as the discreet character of the undulating brick and glass envelope introduces the new while remaining deferential to the old. "Together, these elements create a rich texture both physically and conceptually, a stepped form which respects the historic volumes of the original buildings."